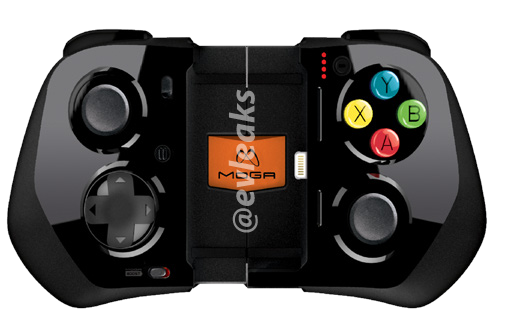 @evleaks is at it again, following their leak of Logitech’s iOS 7 game controller is the MOGA offering which sports a few cool features. First off, it has a 1800mAh battery, making it a bit more similar to a Mophie battery case than the simple controller Logitech released. Additionally, it’s got dual analog sticks and a slider design that looks like it’ll be a bit more easy to just toss in your bag. As with most things that come from evleaks, that’s really all we know currently. Now that we’ve seen both iterations of Apple’s reference design, I’m really hoping we actually see these on store shelves soon. Previous PostPrevious What Do You Think About Apple’s Announcements this Week?